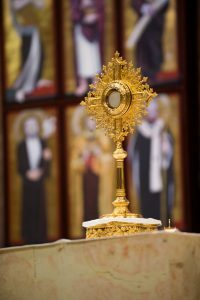 Join Bishop Michael Burbidge at St Mary this Friday, April 27 at 7:30pm for a special Holy Hour for Vocations. Please join us for this wonderful opportunity to pray with our bishop and help foster vocations to the priesthood! There will be a lite reception in the PLC afterwards. All are welcome!